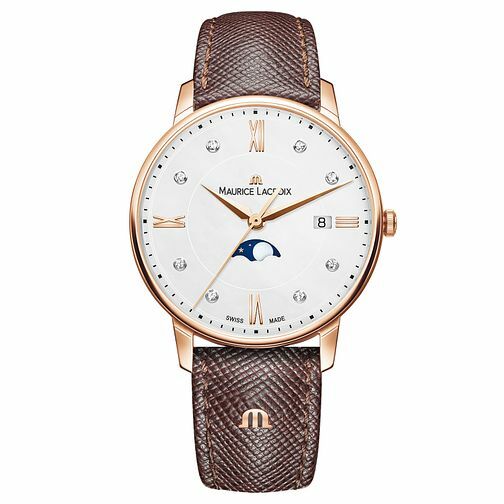 From Swiss watchmakers Maurice Lacroix, this timepiece offers refined, contemporary style. Set on a polished rose gold tone case with a brown leather strap, the bright white dial is accompanied by moonphase detailing and set with diamond indices. Refined sophistication from Maurice Lacroix.